Croatia Road Trip Itinerary: The Ultimate Guide! A road trip through Croatia topped my travel bucket list for quite some years. Until I finally had the chance to do it and it was memorable. I can’t wait to return and find out more paradise places. Here’s a complete guide for you to make your first Croatia road trip along the coast too! Of course, I could simply show off some of the most awesome landscapes we’ve come across along the Dalmatian Coast or in Brac island (Zlatni Rat beach lingers on my visual memory quite a lot when I think of a getaway). Instead, I’m going to focus on other aspect of this road trip which was particularly complex: the planning phase. 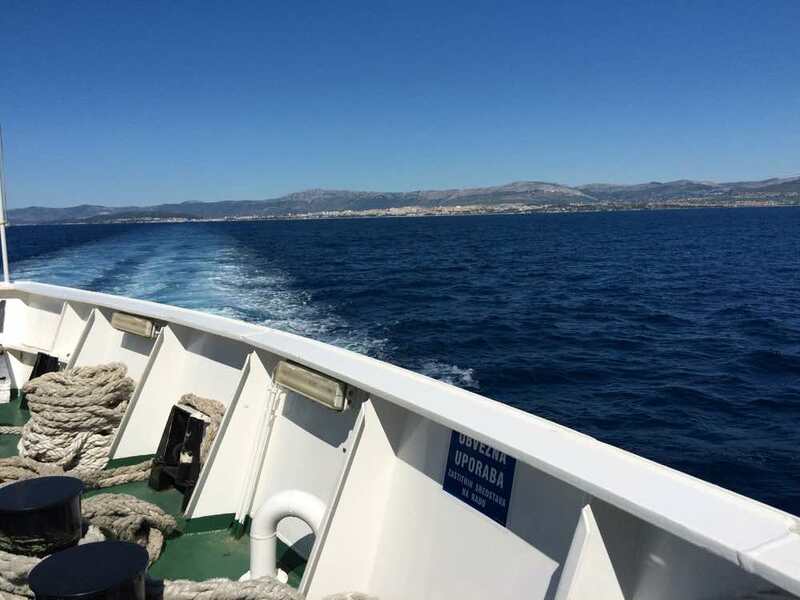 No, I don’t want another simple and touristy Split-Hvar-Dubrovnik route! Sunset in the port of Split. Don’t get me wrong, I found loads of websites talking about Croatia, but surprisingly none of them was complete and concise enough. Either they are too specific, too broad or simply not valuable pieces of information. Just like I did with my island hopping guide for Thailand, my Rio itinerary or my road trip in Portugal, I created a detailed guide for your Croatia road trip. Hopefully this guide will save you hours of Google searches, trying to put your head around stops all to come up with the perfect itinerary! Duration: it really depends how long you want to stay in each place. For all the places mentioned above, stay at least 10 days. 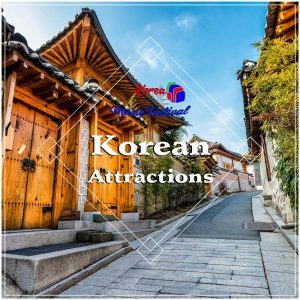 Activities: it includes a wide range of things to do: urban explorations, beach time, ancient ruins’ history, hiking natural parks and even swim in waterfalls. Where to stay: most of the places we’ve stayed were fully-furnished apartments. I’ve used Booking.com to book all our accommodation. Be sure that Croatia is a beautiful place to visit all-year round and there are reasons to go in each season. Some people go to Croatia in January just to see Plitvice Natural Park with snow – which judging by some pictures it’s a true delight! However, if you’re like me, you’ll most likely want to take advantage of the beautiful coastline and make sure you go when it’s warm and sunny. With this in mind, I’d definitely avoid the winter months, between November and March and the peak season, between July and August. Peak season can be terribly expensive and crowded everywhere you go, including an uprise in traffic in the major cities. Two distinct periods are left: April to June and September-October, coinciding with the shoulder season in Europe. 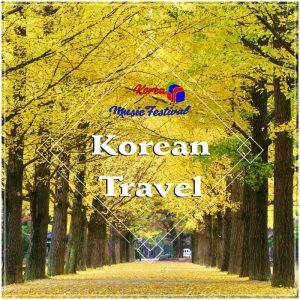 Try to book your trip around these months to improve your travel experience. Now, seriously. The longer you can stay, the less you’ll regret it later. The vibe of each little town or village you pass is unbelievably laid-back and relaxing. The sea is really as blue as in the postcards. And don’t get me started on the food. Although Croatia is not a huge country, it is big enough to keep you busy and happy for weeks. Or months. Make no mistake there are loads of things to see and places to make your wanderlust go crazy. To make what I call below the First-Time Croatia Road Trip – suited if you’re visiting the country for the first time – you’ll need at least 10 days. If you have more time, great, just check the extra stops to the itinerary you can add below. I’m about to mention several places in this article, so I’ve put them together in a map. This way you can easily find them and follow the journey visually. 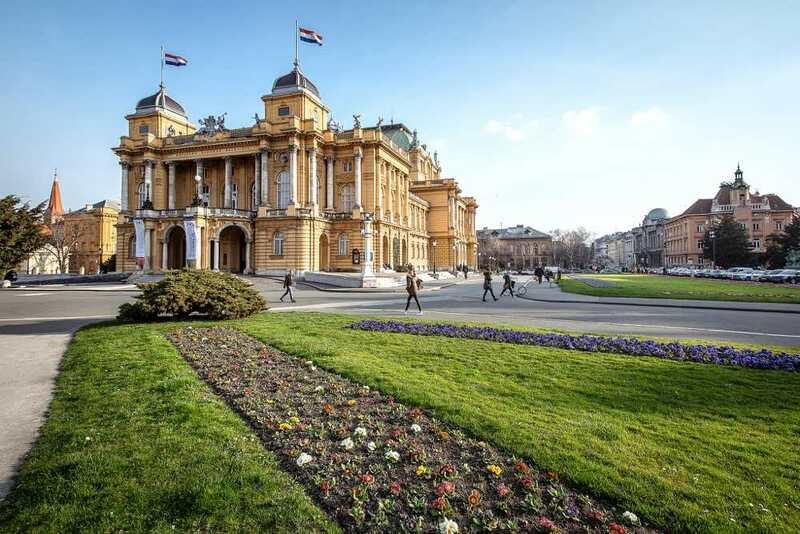 Chances are Zagreb will be the starting point for your road trip. Visiting the capital is a good way to get you introduced to Croatia, even though I later realised how different it is from the rest of the country. Crkva sv. Marka: A drag version of a church. The major highlight is definitely the emblematic Crkva sv. 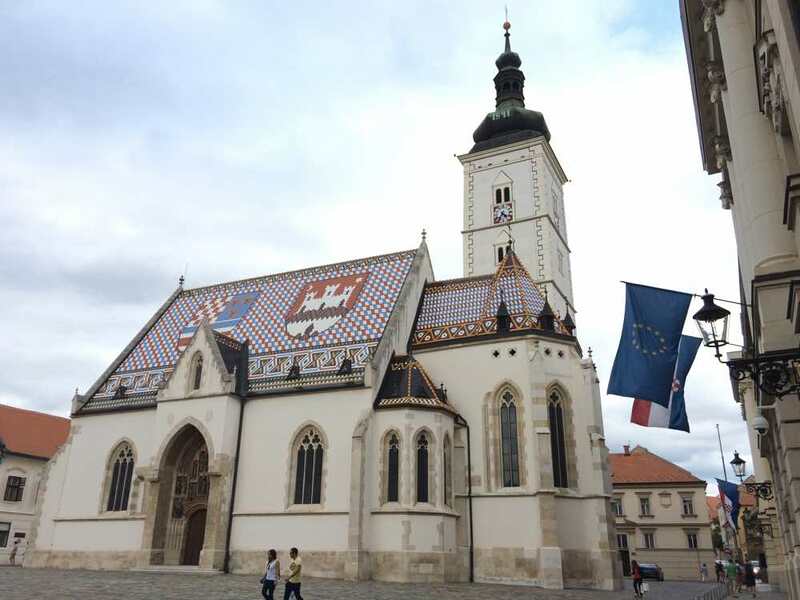 Marka (St. Mark’s Church), with its colourful tile pattern representing the coat of arms of both the city and of the country on the roof. The entire old town is picturesque and walkable. Grab a beer at Tkalčićeva – a vivid street full of bars and small stores, great for people-watching. Other important attractions are the Croatian National Theatre and the unique Museum of Broken Relationships, displaying personal objects of ex-lovers that somehow tell their (sad) story. I’m afraid Zagreb falls a bit flat, specially if compared to other nearby european capitals – my 24 hours in Vienna were more memorable and Budapest…well. I still miss you. But Zagreb has some strikes of awesomeness going on. It sure makes a great place to get your Croatian adventure started. 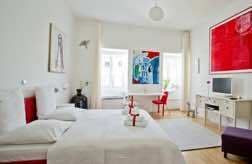 Superb location in central Zagreb and a helpful staff to help you settle on your spacious bright room. Can’t go wrong. Plitvička Jezera (Plitvice Lakes) is one of Croatia’s most popular tourist destinations, made up of sixteen lakes inter-connected by a series of waterfalls and mountains. This was the major fail of our road trip. Plitvice was one of the main reasons I wanted to go to Croatia in the first place, so getting there under heavy rain, fog and cold winds was heart-breaking. There was no point to go inside, since we wouldn’t see a thing. Sadly, all we got from Plitvice was getting us soaking wet. Next time Plitvice. Next time. If there’s something this episode reminded me was that inevitably sh!t happens when you travel. All you can do is keep a positive outlook and expect better times ahead. Which actually did come when we later went to Krka National Park. More about it below. Anyway, I still recommend you to go to Plitvice. There must be a reason why everyone speaks about it with a little sparkle on the eyes. Plitvice National Park is open all year round, everyday from 7:00 to 19:00. The entrance to the park in peak season is 180 kuna (about 18 pounds or 24 euros). For complete details on prices and operating hours go here. Bear in mind weather is unpredictable in this region of Croatia. As the lady in the apartment we stayed in mentioned several times, there is sort of a micro-climate going on the area (and we definitely experienced that!). Be extra careful with the possibly extreme foggy and rainy conditions when driving up to the mountains. Fishing boat in Zadar with a upcoming storm in background. The ancient capital of Dalmatia, Zadar displays a compelling mix of ruins, fortress city walls and pedestrian-only marble streets which lead to a wide and modern waterfront. The historical print of the city is particularly conveyed in the area where St. Donatus Church and the Cathedral of St. Anastasia sit in front of a huge lawn with scattered roman ruins. 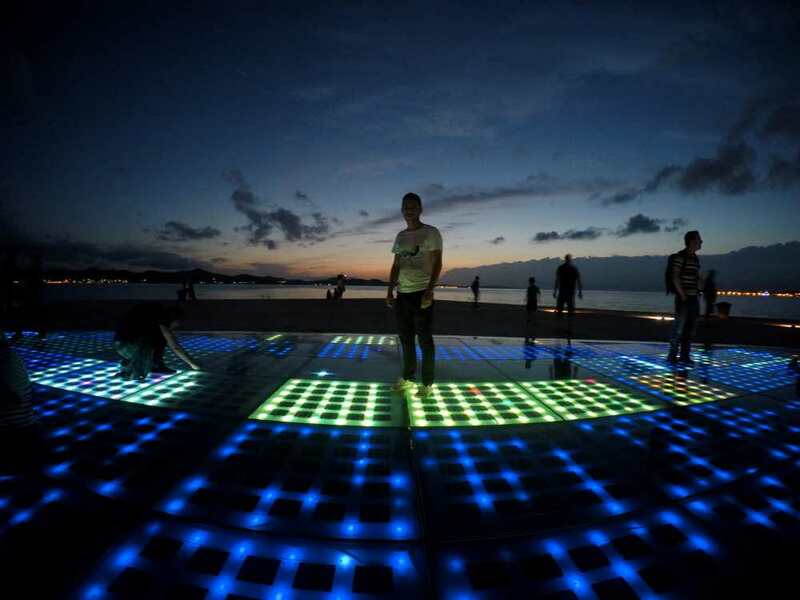 While the old town displays an interesting combination of ancient and medieval heritage with a vibrant nightlife, the most unique feature of Zadar is in its waterfront. 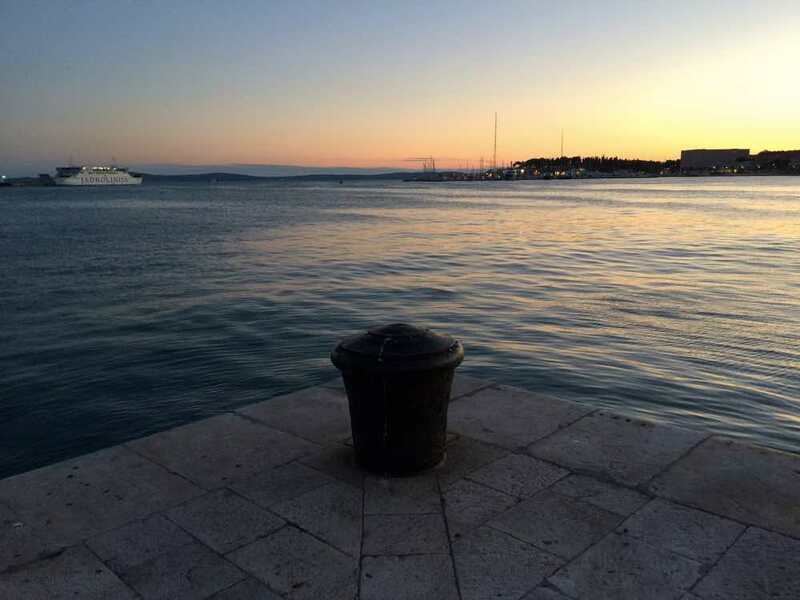 Zadar has the most beautiful sunset in the world, more beautiful than the one in Key West, Florida, applauded at every evening. The photovoltaic panels of Sea Salutation installment. A few steps further, you’ll find Sun Salutation : a giant blue circle embedded into the ground. 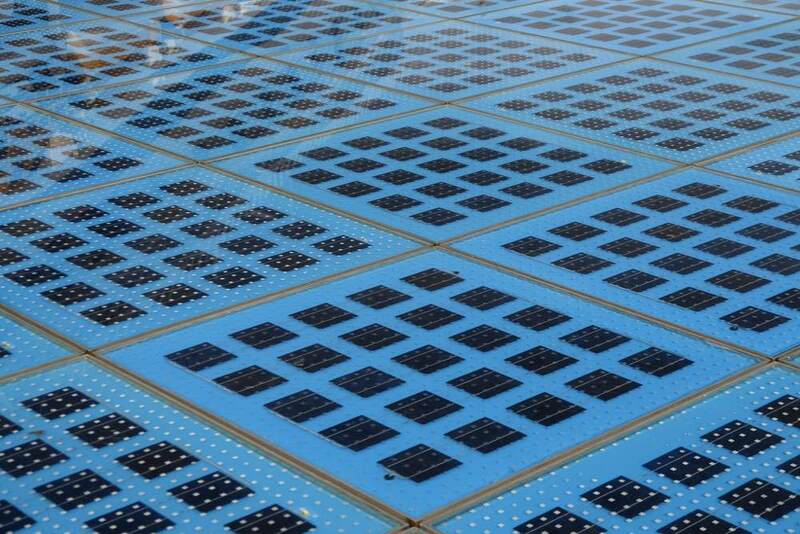 These are actually a set of photovoltaic plates that collect solar energy during the day and put on a wonderful LED light show at night I could watch for hours. For me this was the first true wow moment in Croatia. Try to time your visit to finish the day in this waterfront zone. As Alfred Hitchcock praised once, the sunset in Zadar is beautiful. Add in both these 21st-century technologies which give the seafront the appearance of an permanent urban art installation and it will become magical. Me in the Sun Salutation golden hour. Staying in the center of the action, in the old town peninsula, can easily become expensive. If you really wish to stay here, I’d recommend you to book well in advance. 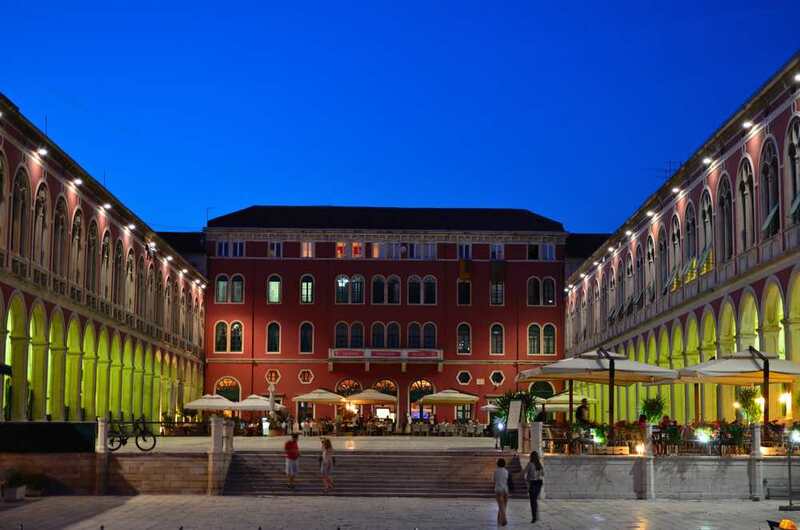 Here’s a list of the top-rated accommodation in Zadar‘s downtown, with WiFi included. Centrally located 3 minutes away from the Old Town, but far away form noice. Sea view included! Most hotels in Zadar are 3km out in the Puntamika area, but that’s too far away if you ask me. Try to find something near the bus/train station Željeznička stanica or in the other side of the bridge that connects the peninsula with the mainland, as you’ll be just a short walk away from everything. Murter island is probably the most off-the-beaten-track destination in this itinerary. Many driving along the coast of Dalmatia would probably add in Šibenik or Makarska instead. However we were looking for relax and that’s definitely something Murter has more to offer. Being the largest island in the Šibenik archipelago, it offers a wide range of beach possibilities within its numerous awe-inspiring coves and bay with shallow waters. From the 4 main settlements in the island, we chose Betina to stay. 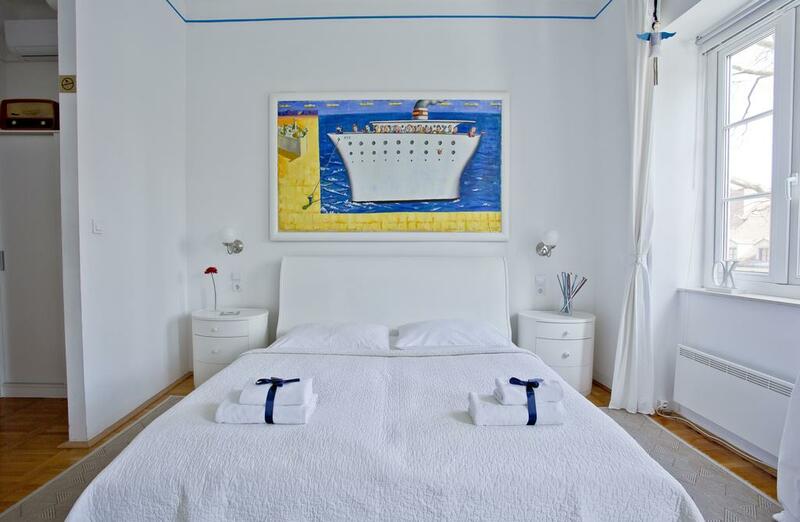 Easy-going and with a very local feeling and very close to Slanica Bay. It’s a small place but the whole setting of the beach, including the fine sand and the surrounding olive and pine trees, felt like a hidden paradise. Stay in Murter for as long as you want to relax and discover other sandy and pebbly beaches around like Podvršak, Korisina and Čigrađa. If you are not in a rush, consider also going on a day trip to Kornati islands. Many residents of Murter own a second property there and may be able to take you out there in a boat. The archipelago – actually a national park – is known for its preserved raw beauty and rich maritime ecosystem. The good thing about this island is that you don’t need a ferry to get there. Murter is connected to the mainland by a bascule bridge at Tisno which makes it technically sort of a peninsula. The bridge is usually open each morning and at late afternoon. 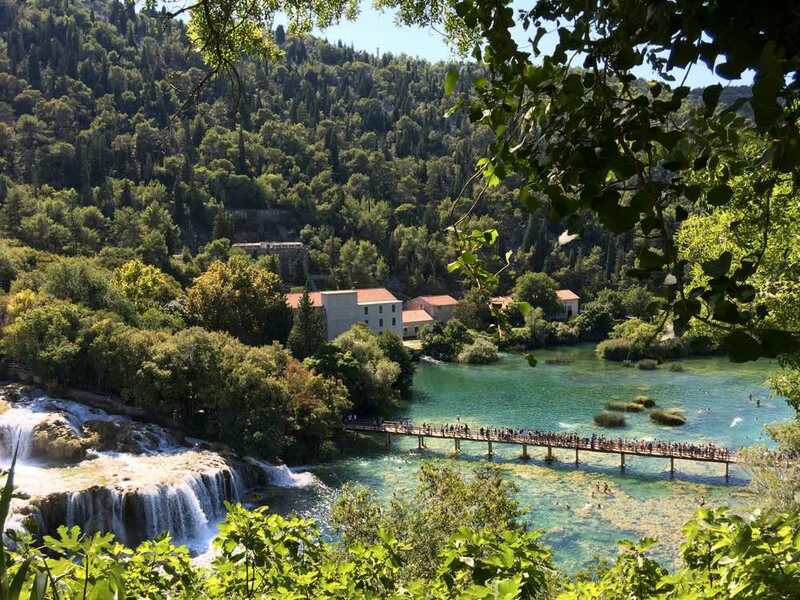 KRKA: hello nature part 2! 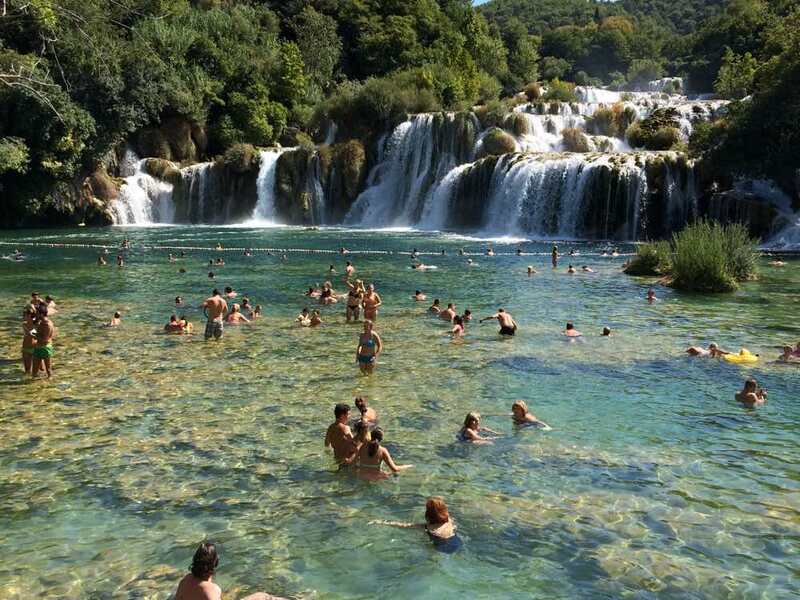 Krka National Park is a well-known nature spot in Croatia. Comprising more than 800+ species of fauna and flora across its 100 square kilometers of area, it’s a place of exceptional natural value. I had great expectations that Krka would somehow make it up for the disappointment in Plitvice a few days earlier. And boy, everything went better than expected. I got to say the lower part of the park has an unremarkable music summer festival feeling to it. But all is forgiven by the surrounding scenery once you start exploring the surroundings. The highlight are the swimmable Skradinski Buk waterfalls. These are a set of 400-meter wide magnificent waterfalls that end up in stunning natural pools, reflecting the green of the surrounding lush vegetation. One of the most incredible sights I’ve ever seen! I also had time to explore further trails around the Skradinski Buk full of caves, lakes and other waterfalls which only proved how beautiful and special this place is. The whole park seems a distorted reality. It seems someone tuned up the contrast and saturation configurations: everything around overflows your eyes with color! It’s worthwhile to spend a day here, hiking, biking and of course swimming in the waterfalls. Everything happens for a reason and I was glad I came to Krka instead. I would be absolutely bummed to miss out to jump on these emerald-looking natural pools. It’s definitely one of the most memorable experiences you can have in the Dalmatian Coast. You can enter the park in five different points. As most people visit from Šibenik (a 20-min ride), the two most popular starting points are Skradin and Lozovac at the southern end. We ended up leaving the car in Skradin, taking a boat up the Krka river until the park. 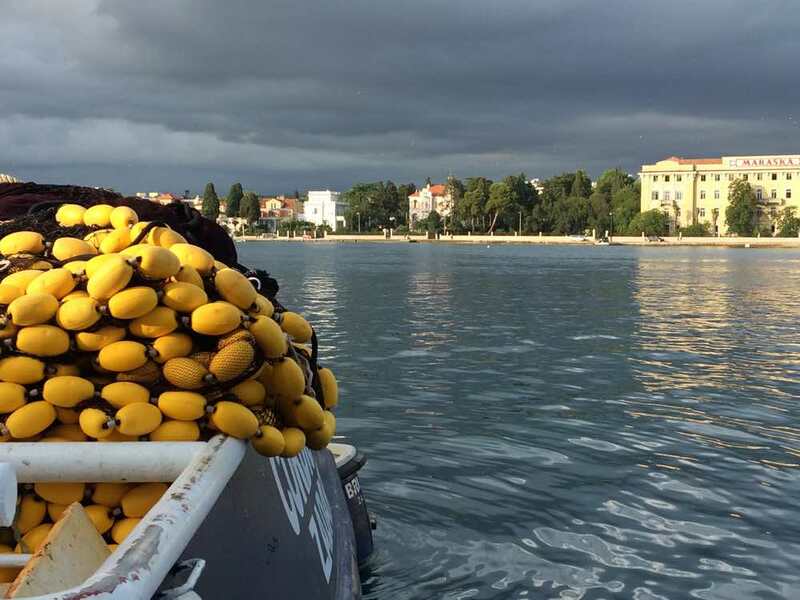 Boats sail every fill hour and return at half hours. The sailing time from Skradin to Krka is about 25 minutes and it is completely free with your entrance ticket. Woo-hoo, a bonus boat trip through the river valley! Krka National Park is open all year round, everyday from 8:00 to 17:00. The entrance to the park in peak season is 110 Kuna (about 11 pounds or 14 euros). 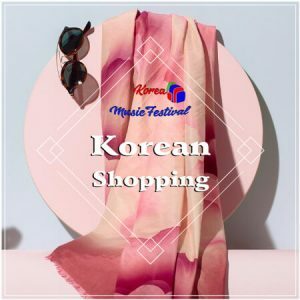 Check details on prices and opening hours. Split is a major transportation hub in Croatia. Served by an international airport and with the largest passenger port in the country, it is the ideal departure place to explore the islands, specially the ones along the Dalmatian coast. When Roman Emperor Diocletian decided to build himself a modest retirement home, he chose Split. Diocletian’s Palace was so massive – it still is – that a bustling town started being build around it. Today, tons of shops, restaurants and cafés in Riva – the main pedestrian street – are the centre of the city action. If there’s a major sight not to be missed in Split is definitely the Peristyle, the central square of the palace. Grab a seat in the nearest roman ruin, order a beer and marvel the spectacular architecture and the patchwork of Roman, medieval and Renascence buildings around you. It’s particularly beautiful during the evening. 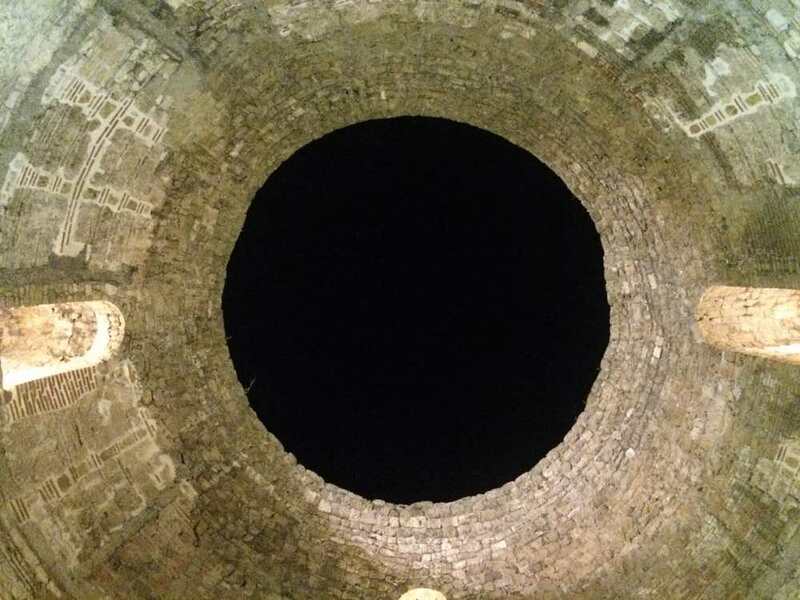 Perspective on the Mausoleum Dome next to Diocletian’s Palace. From my perspective, one day is enough to explore Split. I’d definitely try to allocate more time to Zadar for instance. So, just make your visit simple. 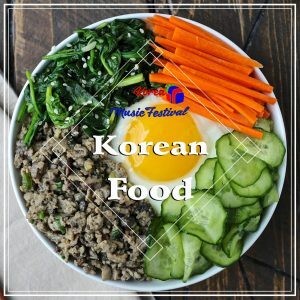 Just have good food, enjoy the Split’s unique vibe and historical fingerprint and get lost in the streets of the old town. You’ll on track to have a great time. Even though finding a parking spot in centre Split during the summer can be a needle-in-a-haystack task, I highly recommend you stay in the center of the old town. If possible inside the city walls. The outskirts of Split can be a bit disappointing and they’re surely not worth the extra trip. If not, you can always start your search with this list of the best accommodation in Split city center, with WiFi and a good location close to the city center. Make sure you get early to the ferry port. I mean reaaaally early: 1h30 at least and maybe even 2 hours if you’re going on a popular summer ferry route. Oh and it does not matter if you bought your ticket online in advance or not. The ticket is valid for the entire day and does not guarantee a place for your (or your car) in a specific ferry time. If you are road tripping Croatia, you’ll want to go to one (or more) of its 1,000 islands. 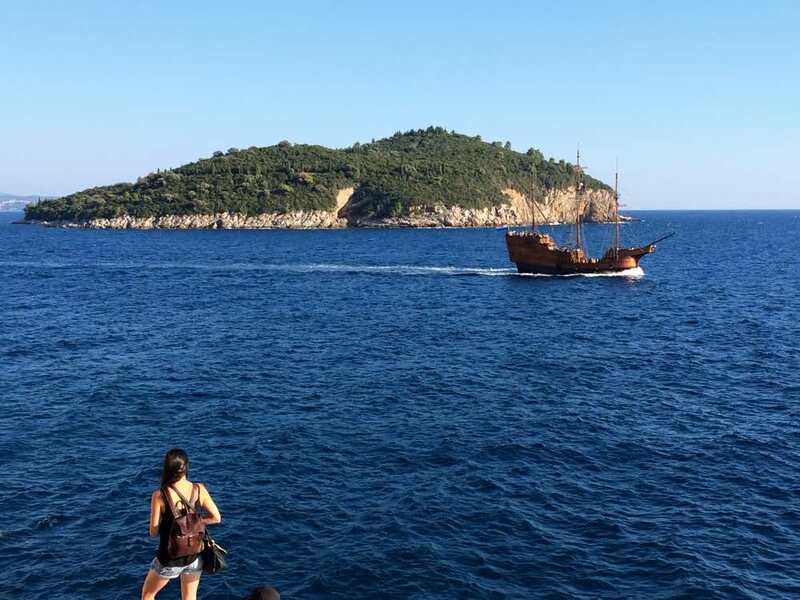 After checking the possible ferry routes and ruling out time-consuming connections, we ended up with three possibilities: Brac, Hvar and Korcula. In the end we’ve chosen the first one because it seemed to have the perfect mix of what we wanted to find: beaches, nature and relax. Leaving Split behind on the way to Brac island. I’ve praised the island of Brac before. It was a true show-stopper for me and quite possibly the major highlight of the trip. It was there I truly realised how rich Croatia is in term of natural landscapes. Brac is one of those places with the power of take you away and make you forget all your problems. Zlatni Rat beach is by far the main highlight of the island and one of the most popular postcards of the country. Due to its unique natural conditions, it’s a mecca for all the watersports enthusiasts but also a true delight to all nature lovers. By all means allow yourself at least 2-3 days in Brac and don’t be limited to Zlatni Rat. The island has many other stunning coves and bays waiting to be explored, such as Lovrecina and Sumartin. Plus, the quaint small villages of Supetar, Pučišća and Bol are worthy of at least a seaside stroll. Choosing which island(s) to go in Croatia can quickly turn into a first-world problem given all the possibilities. More than one thousand to be accurate! 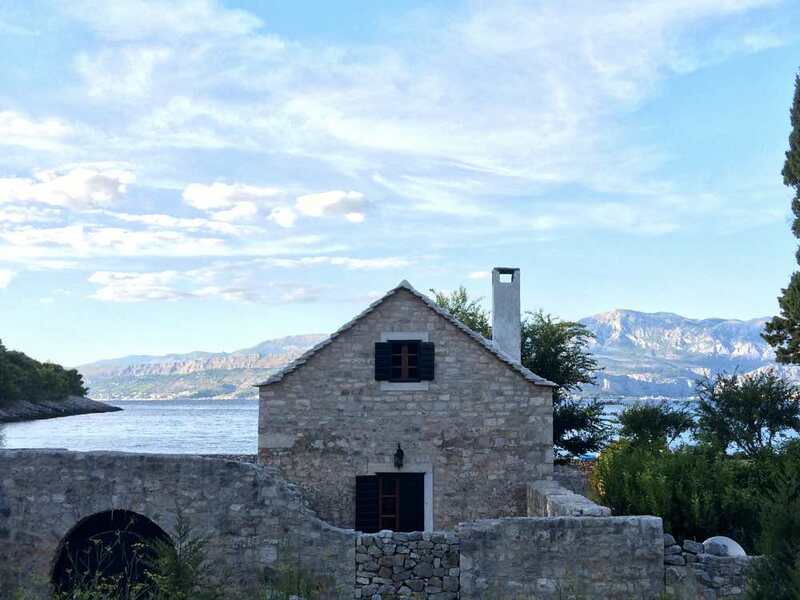 Go to Brač for beaches, Vis for a getaway atmosphere and Hvar if you’re looking to party. In the end, it all comes down to what island stereotype you identify the most. Regardless of your choice, make sure you check beforehand the ferry connections and timetables. Only a VERY limited number of ferries allow cars on board and they’re usually routes coming or going to the mainland. This can have a huge impact on your itinerary and can easily you make you waste a lot of time. For detailed ferry information check the Croatia Ferries website or go directly with the largest croatian ferry company, Jadrolinija. You’ve probably heard how Dubrovnik is a must-go whenever you are around in Croatia. The city has grown hugely in popularity in recent years and much credit should be given to the TV series “Game of Thrones”. In fact, you can see a GoT tour in every corner of the old town. The amount of people inside the walls of Dubrovnik during the day is impressive, specially when cruise boats arrive. Stradun, the main commercial artery, can be completely packed at that times. In any other destination, it would totally take away the charisma and authenticity – take Venice for example. But somehow in Dubrovnik that does not happen. Even with all the crowds and tours, wandering around the narrow cobbled streets of the old town felt as special as ever. Walking the two-kilometre ancient walls allows for the best views of Dubrovnik, but I found it more interesting seeing it from the sea. Sea kayaking tours are widely available – I recommend Adventure Dubrovnik – and usually are done starting from Pile Gate and around the Lokrum island, right in front of the city. One great place to stay – far away from the old town madness but easily reachable by bus/car – is the Lapad peninsula. Despite being an area with many high-end luxurious hotels, it’s also possible to find cheap accommodation next to the best beaches near Dubrovnik. Take a look at this shortlist in Booking. 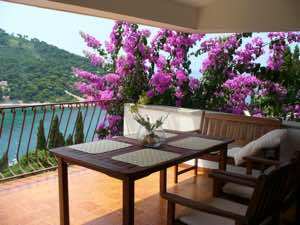 It contains only the top-rated hotels in Dubrovnik, with WiFi and breakfast included. Did you know Dubrovnik is geographically isolated from the rest of Croatia? If you are coming from anywhere else in Croatia to Dubrovnik by road, you’ll have to pass through Bosnia & Herzegovina. Bosnia is not part of the European Union, so depending on the country of your passport you may need to show your documents. Traffic and parking in Dubrovnik is a total CHAOS. 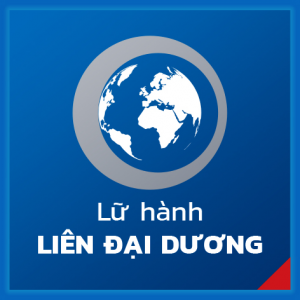 I highly recommend you get around using the reliable and efficient network of bus. We didn’t wait more than 5 minutes every time we used it, even during the night. 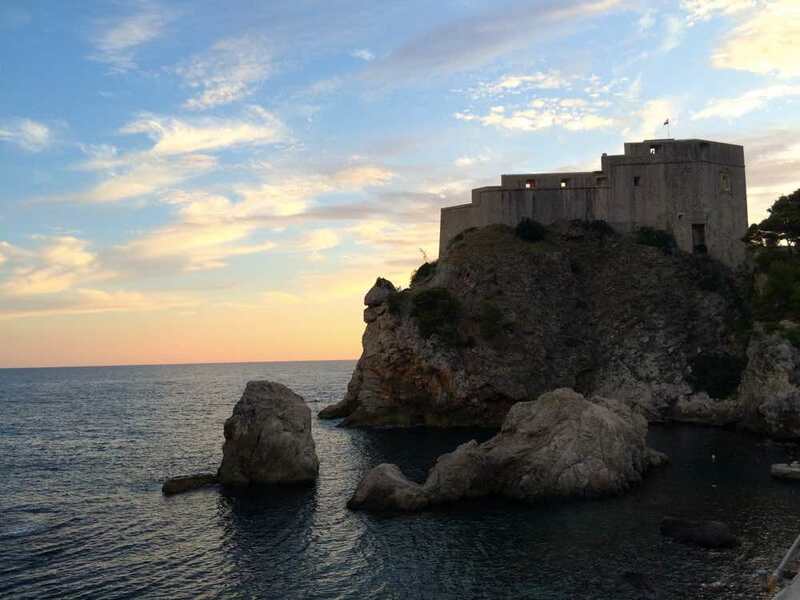 I stayed in the Lapad peninsula which turned out to be a great place to stay in Dubrovnik. Apart from a short bus trip to the crazy Old Town, it allows you to have a little bit of beach time close by. My hotel was the one below, but here’s a shortlist of the top places with WiFi in Lapad to get your search started. Comes with a super friendly host and a gorgeous view over Lapad area. It’s a 5-min walk from the beach! If you have some more spare days, there are many other options to enrich your itinerary with places not only in Croatia but in other neighbour countries. I’ve left the entire western-most region of Croatia out of my basic itinerary due to time limitations. If time is not a problem, you can spend some days exploring the peninsula of Istria. Amongst the green countryside and the coastal little ports, the main city Pula and the fortified town of Rovinj stand out. Nearby there also some of Croatia’s popular islands: Krk, Rab and Cres. Hvar is the most popular island destination in Croatia. 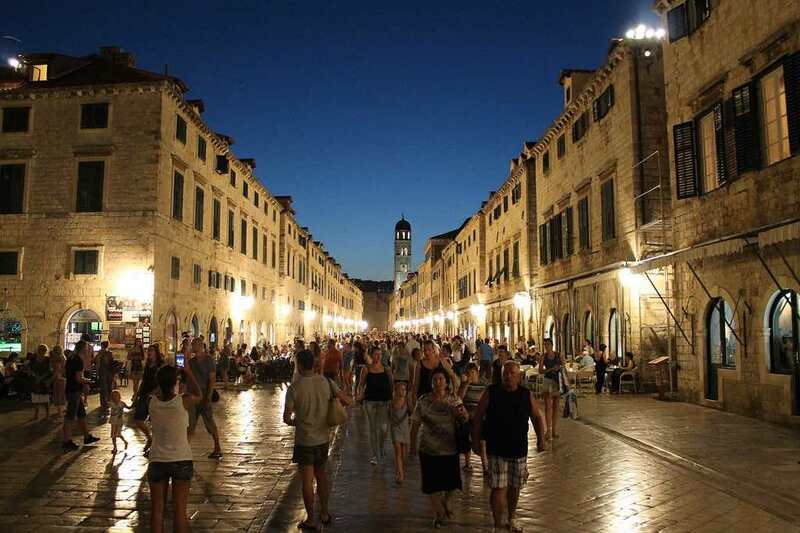 From its endless lavender fields to the bubbling nightlife of Hvar Town, there’s always something to keep you busy. If Hvar still bores you, you can always rent a boat and head to the deserted Paklinski islands on a day trip. A day trip to Mostar is perfectly doable from either Split, Makarska or Dubrovnik. The city holds a complete different vibe from the whole Croatia, which makes it a great addition to your road trip route. 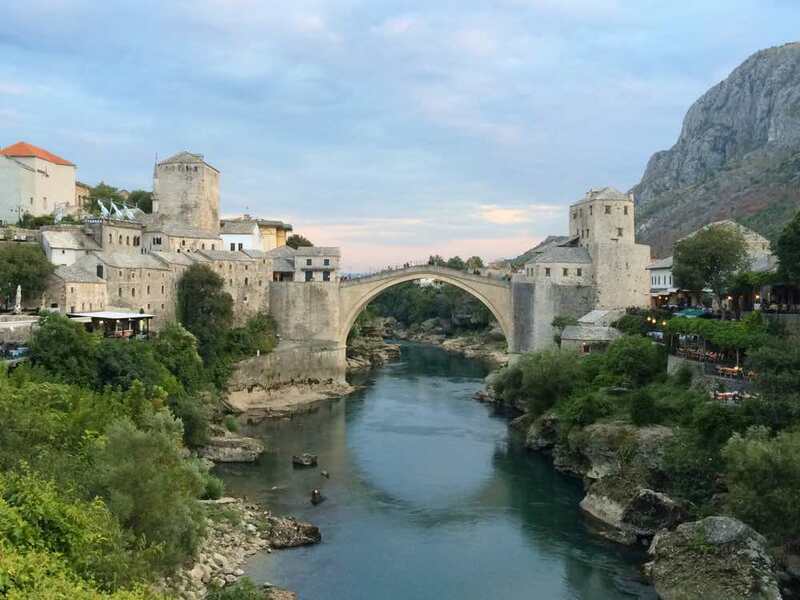 Besides the stunning Stari Most (Old Bridge), Mostar is an interesting mix of a vibrant oriental culture and a joyless recent history. Backed up by impressive mountains keeping its authenticity untouched, many consider Dubrovnik to be a Euro-trashy version of Kotor. With scenic views, four-kilometre medieval walls and a ever-lasting medieval architecture, you might want to consider adding this city to your route. Next time, I will. If possible avoid July and August months. The most popular places in Croatia tend to be overcrowded and prices inflated. For the best compromise between crowds, prices and weather aim for the shoulder season in Europe. Anywhere in May, June and September and even October are great times to visit. Sunsets are one of the strong points of Croatia. I must say I was impressed with how easy it is to drive in Croatia. No matter the natural obstacles you’ll be driving on – mountains, cliffs, coves – the roads are in perfect condition and very well signalised. Pay tolls, when existent, are very cheap. Within the cities, the story is a bit different. While Zagreb is still much calmer to what you’d expect of an european capital, traffic in cities like Zadar, Split and specially Dubrovnik can be CHAOTIC. Same for parking: we wandered around 45 minutes to find a (paid!) parking spot in Split. And we decided to ditch our car when arriving Dubrovnik (our last stop) and switch immediately to public transport. Remember this was in September, can’t even imagine on the peak summer months! We ended up going with Sixt and getting an additional insurance from Insurance4carhire. Great value for money in both cases, so I can just recommend them! Pro tip: due to the geography of Croatia, you probably don’t want to return the car in the same place you picked it up. Always check in the small letters if there’s any “one-way” fee applicable. Croatia has overall one of the best offers in terms of accommodation I’ve seen. 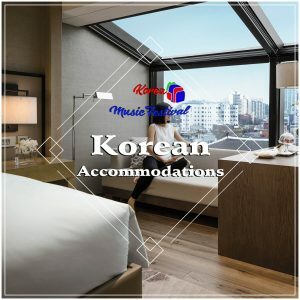 There’s a wide range of hotels, hostels, guesthouses, villas and specially private apartments available on Booking and Airbnb. They’re usually cheap and with good quality rooms. Yet, due to the increase of tourism in recent years, it is recommended to book well in advance for July and August months. Start your search using this list I’ve put together of all hotels in Croatia with WiFi and good-to-excellent reviews in Split and Dubrovnik. They all have WiFi and breakfast included! Or just input your location and dates in the box below. So how much all of this madness cost? Find out a breakdown on my numbers below. Keep in mind these are values per person and that I travelled with four other people, which tends to lower down the global costs. If you’re travelling with less people, I’d add 10-30% extra to the total for a better estimate. And don’t forget to add in your flights! Try to stay in apartments with kitchen, where you can prepare some meals. We actually did stay but we were too lazy to make any meals, which could have saved us loads! Pay attention to exchange rates, in some of the most touristy places they are outrageous. You can lose a lot of money changing money to kunas! Shop for food in supermarkets, even if it is just small snacks.